SHRM Trustees (BVI) Ltd. is licensed and approved by the BVI Financial Services Commission (“FSC”), holding a Class 1 General Trust License. The SHRM Group of Companies (“SHRM”) consists of five stand-alone, owner managed companies that collectively operate under the SHRM name. The companies have evolved since the mid 1990s into highly specialised providers of trust and corporate services. The network of SHRM offices is situated in four different continents and spans the world’s major time zones. 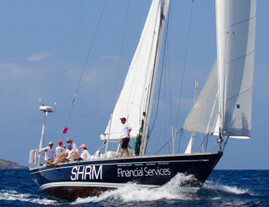 SHRM work in close conjunction with clients to help deliver a bespoke solution to their trust and/or corporate needs. The offices are located in Luxembourg, British Virgin Islands (“BVI”), Hong Kong and New Zealand, that together offer a broad spectrum of products and services to comprehensively service clients’ financially diverse and often dynamic circumstances.